(SPOT.ph) The first Adidas HomeCourt Store in the country found a home in UP Town Center and it's every sneakerhead's dream come true. 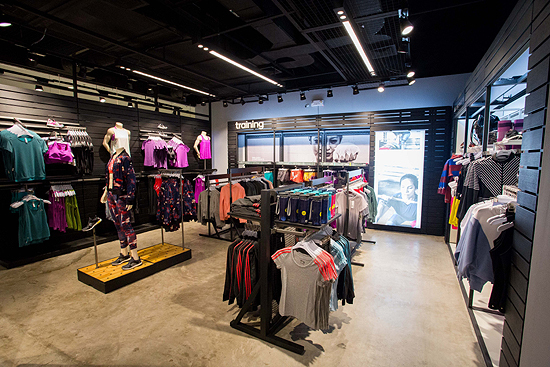 Aside from showcasing the brand’s sports heritage, HomeCourt has interesting sport references in every aspect of the store and promises an interactive shopping experience that will surely make you feel the energy of the game. HomeCourt’s stadium-inspired Arena Façade evokes curiosity and suspense as shoppers, sports fans, and the occasional passers-by are all given an initial feeling of what they’ll experience inside the store. 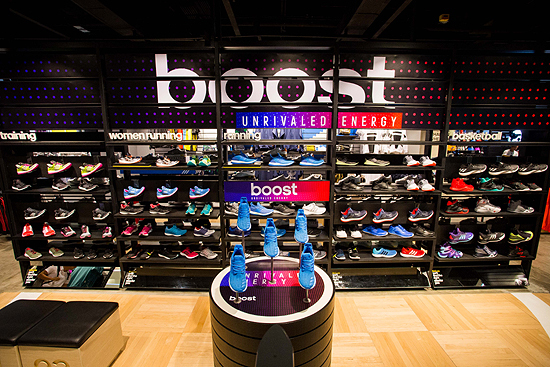 The interiors are inspired by a real basketball arena, plus the store is as organized as ever. Your basketball, running, and training needs have their own special spots! The store also carries new arrivals and limited edition apparel and footwear. For all of you Adidas #FitSquad girls, be sure to check out the Stella McCartney collection. 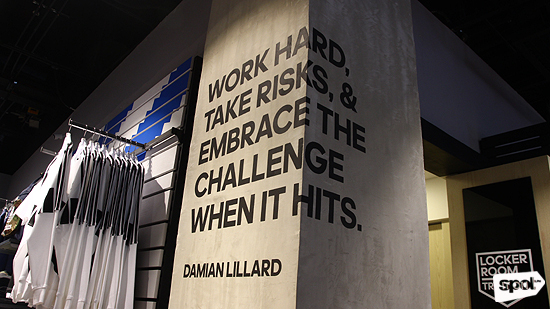 The designer clothes guarantee both function and fashion in the gym and on the court. You will surely notice the Shoebase at Centrefield, and not just because it’s set in a center court flooring and lighting (symbolic for where the actual game really begins). 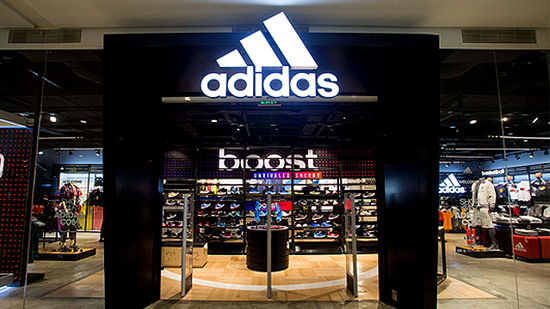 You can find all of the latest Adidas footwear for all sport categories here. 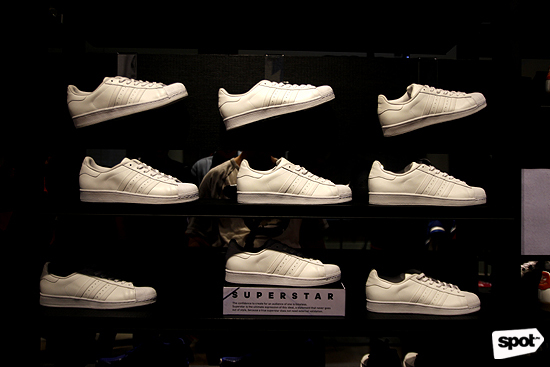 Give in to your obsession for white sneakers with the newest Stan Smith and Superstar collections! 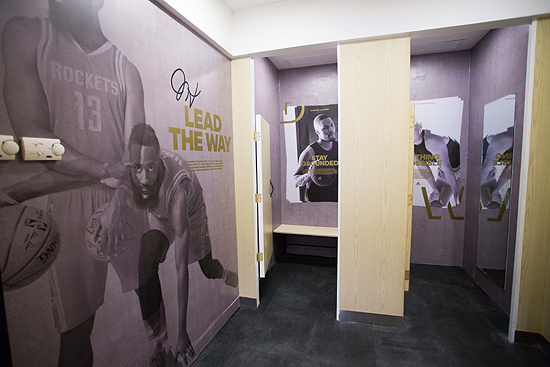 Make sure to stop by the Team Room—HomeCourt’s take on a fitting room, which is designed to simulate your favorite team’s locker room feels. 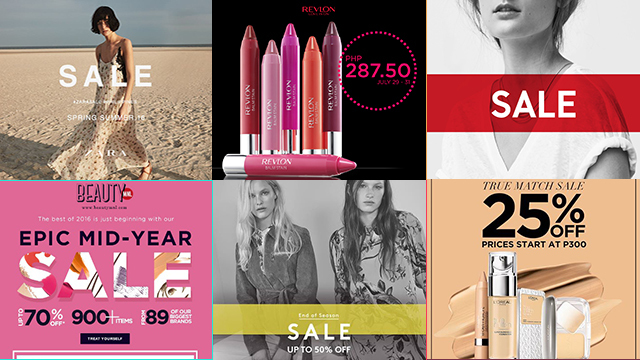 Ball is indeed life, even outside of the court so for our sports enthusiast readers, make sure you won’t miss out on this next generation shopping experience! 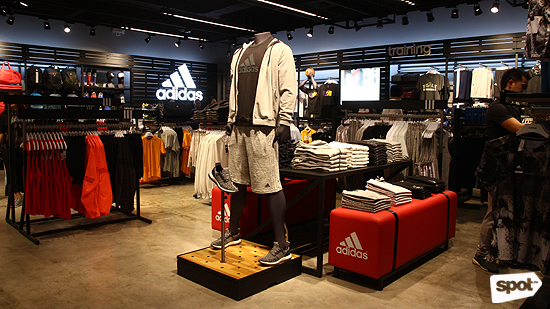 The Adidas HomeCourt Store is at 2/F UP Town Center, Katipunan Avenue, Quezon City.